Saturday was a day of firsts for me and my family. It started off with me raking the leaves. I've never raked leaves before on January 3rd. Normally I'm shoveling about this time, which of course now I am. In the afternoon we attended the first wedding of one of our siblings. 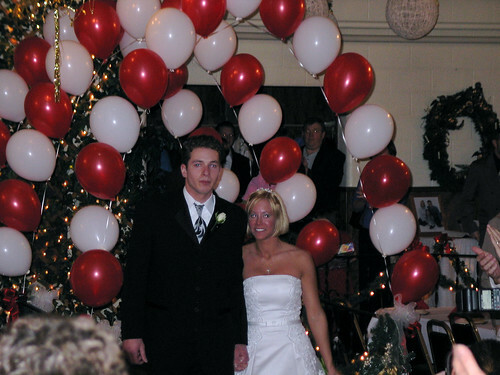 Kelly's brother Landon was married to Sonia Ritter, daughter of Pam and Michael Ritter the owner of Great Lakes Heating and Cooling. Here's a not so good picture of the happy couple.